Boca Raton, FL – Boca Helping Hands is proud to announce that the 2015 American Premier Soccer League regular season Champions, Boca Raton Football Club, will be volunteering at their Thursday Night Family Dinner on Thursday, July 16. Boca Raton FC will assist Boca Helping Hands in preparing and serving meals, as well as distributing pantry bags, and giving the children a free soccer clinic. 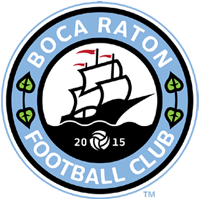 Currently in first place in the APSL standings, Boca Raton FC plays their finals game of the regular season on Sunday versus Uruguay Kendall as they prepare for the 2015 APSL Playoffs. “Boca Helping Hands is thrilled the Boca Raton Football Club wanted to volunteer and be a part of our organization. The children that attend our Family Night Dinner will be thrilled to meet these young men who are great role models. An added bonus is that they will be giving soccer tips!” said Karen Swedenborg, Development Manager, Boca Helping Hands. Boca Helping Hands’ mission is to provide food and emergency assistance to meet basic human need and long-term solutions to break the cycle of dependence. The Thursday Night Family Dinner is one of the events the organization runs which is only open to families, with the emphasis on the children. Every Thursday, Boca Helping Hands makes the evening special for the children with crafts, movies, or organizations, such as Boca Raton FC to interact with the children. Not only does Boca Helping Hands distributes over 5,000 pantry bags monthly, reach over 1,000 elementary students from nine different schools through their BHH Backpacks with six meals and two snacks, but they have a Job Mentoring Program which helps clients by offering “Life Skills”, computer classes, resume building and online job searches. Through the Esperanza Catering at Boca Helping Hands, and the BHH Health Care Training, students have the opportunity to learn the skills needed to work either in the Hospitality Industry, or to become Home Health Aides. For more information on Boca Helping Hands, please visit: www.bocahelpinghands.org. For more information on Boca Raton FC, please visit: www.bocaratonfc.com.